This season, let your jewelry drawer be graced with this beautiful set. The items in this set are not only elegantly designed, but are also rust resistant and easy to maintain, courtesy the alloy craftsmanship. 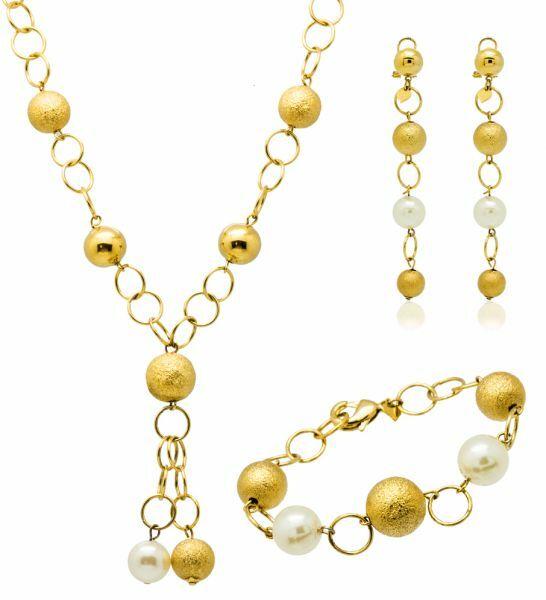 This set comprises necklace earrings and bracelet.